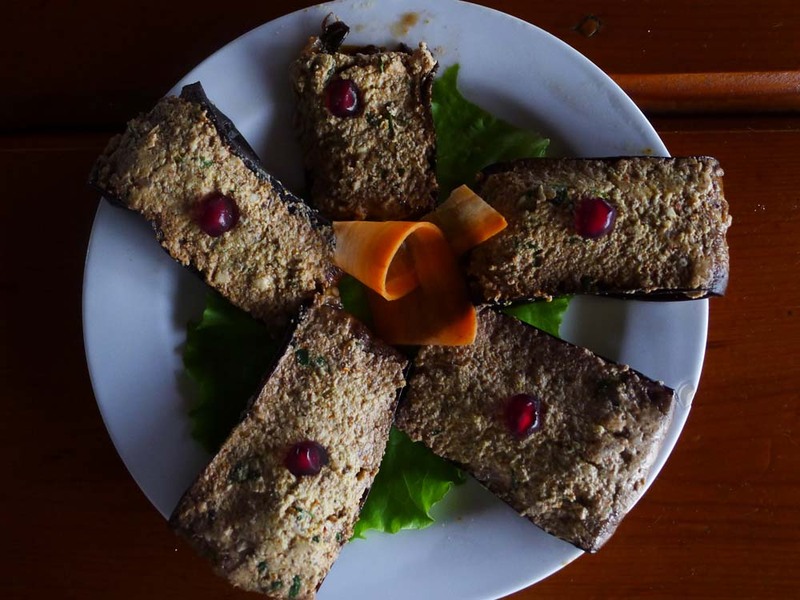 REPUBLIC OF GEORGIA – the food of love! Looking for exotic travel? Then Georgia’s your beat. It has all the qualifications for an authentic adventure. It starts right at the border when an airport official hands you a bottle of wine with your passport stamp! Then you notice everybody speaks a funny language whose writing resembles nothing more than trim scrawled across a gingerbread house. Geography? 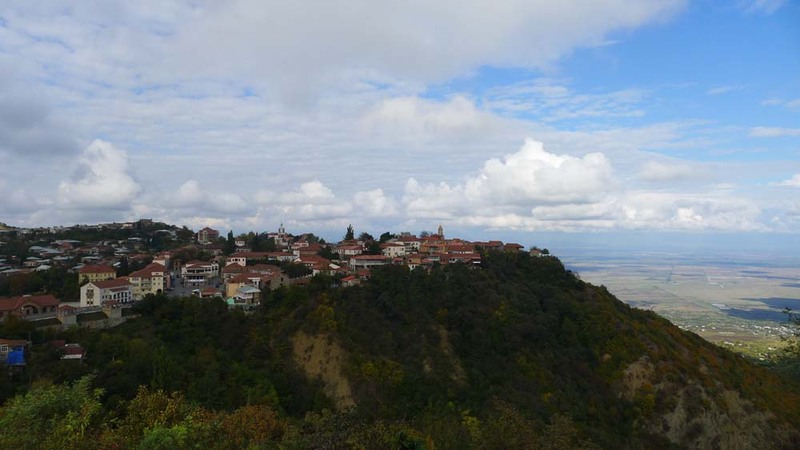 Georgia borders the Black Sea – last of the countries at the end of the western world. Plus, it spawned a culture so fascinating it gave us both Joseph Stalin and George Balanchine! Fall 2012 we and four colleagues were lucky enough to find ourselves in Tbilisi for a 48 hour film location scout. Our guide, artist, filmmaker and State Minister Mirza Davitaia, gave us a blitz tour that included 3 banquets (“supra” in Georgian) in 2 days. Each meal started with a leisurely parade of regional dishes served family style, accompanied by a lazy river of wine. As a brain fog descended, Mirza broke out an elixir called “chacha” (think moonshine) to loosen our tongues, and encourage a competition for “most memorable toast”. 3 to 4 hours into this fiesta I’d heard more tomfoolery than at the Mad Hatter’s tea party, and in true Georgian tradition, it culminated with everyone crying, laughing, and kissing! Georgian “pizza” was a 10 on the flavor scale! 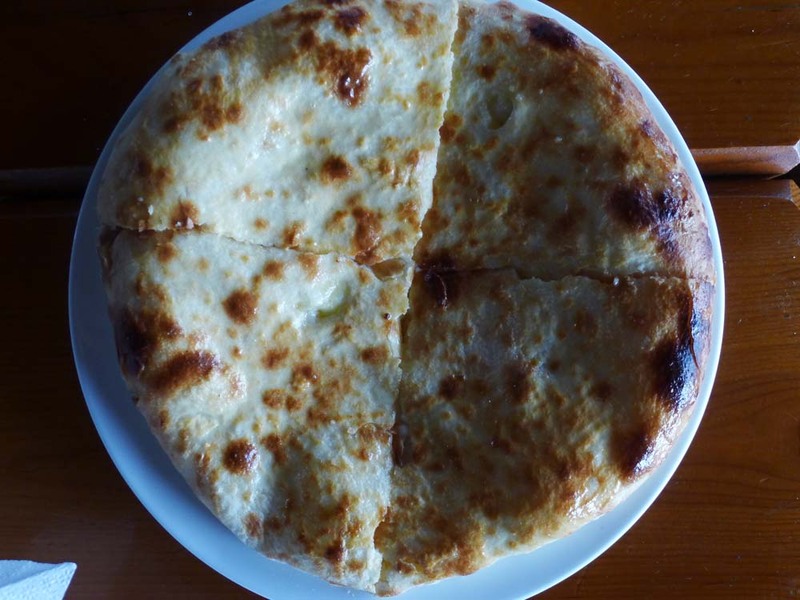 “Khachapuri” is a chewy grilled bread stuffed with “Sulguni”, a local salty, stinky, melty cheese. Georgia was on the Silk Route and suffered at the hands of Mongols in 1100 AD, but managed to get some pretty good Asian inspired food out of the encounter. 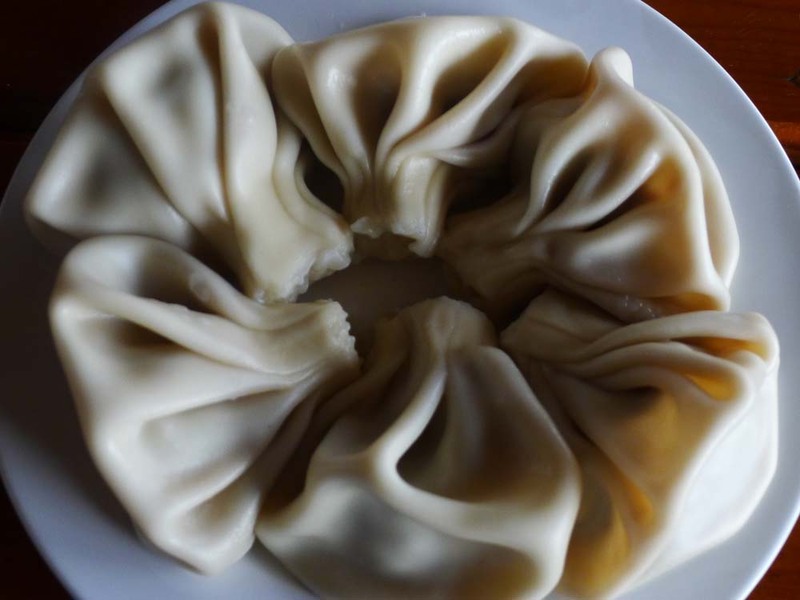 “Khinkali” are dumplings stuffed with meat or mushrooms. Pick them up by the “handle” and eat them from the bottom of the purse first. Eggplant stuffed with walnuts is customary at any banquet. 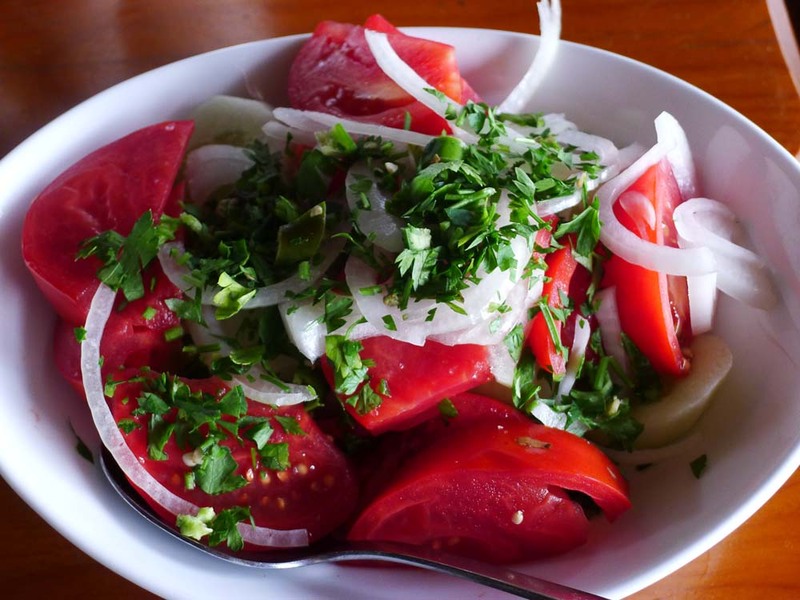 The southern climate makes for a ubiquitous default dish of fresh cucumber and tomato. 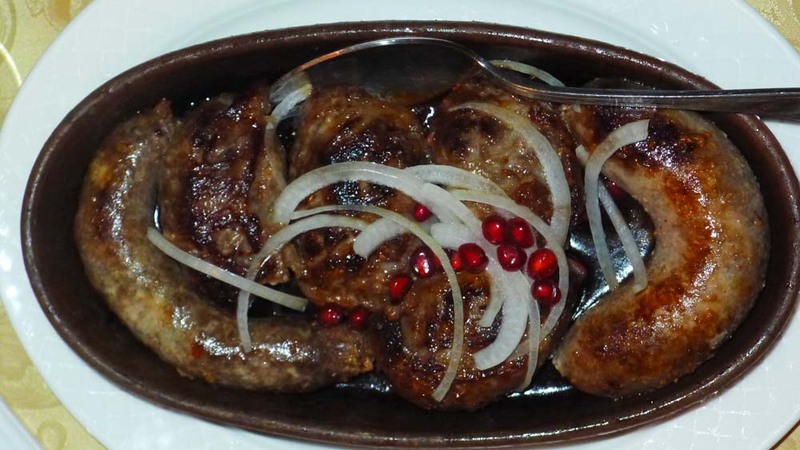 My Polish husband was brought to tears by these tasty sausages garnished with pomegranate seeds. 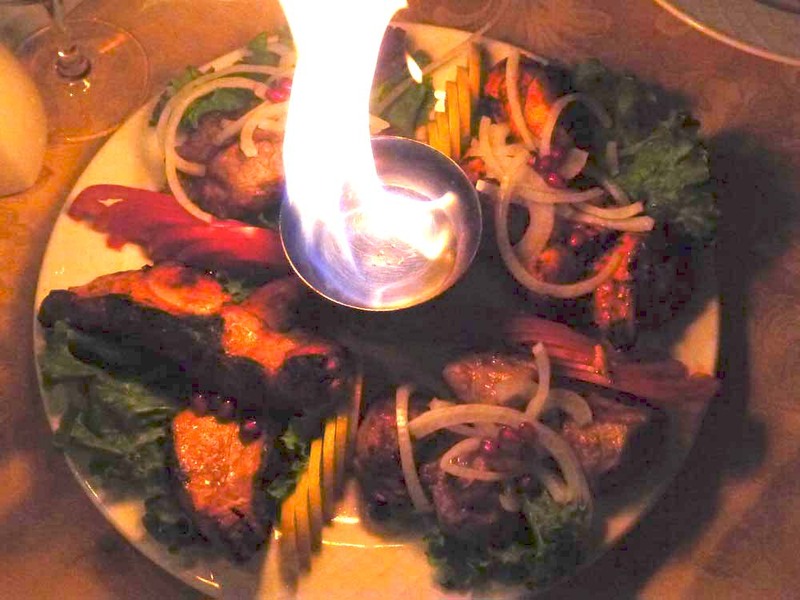 Half the fun is setting your food on fire! Restaurant TAGLAURA is known for its brewery as well as its country cooking (phone 577-41-77-00). 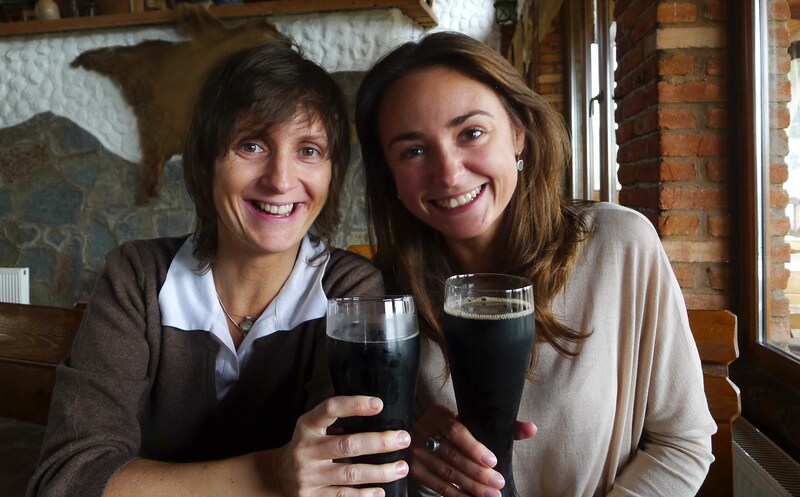 Our friends Julia and Sveta loved the generous glasses of rich, fragrant Georgian beer. 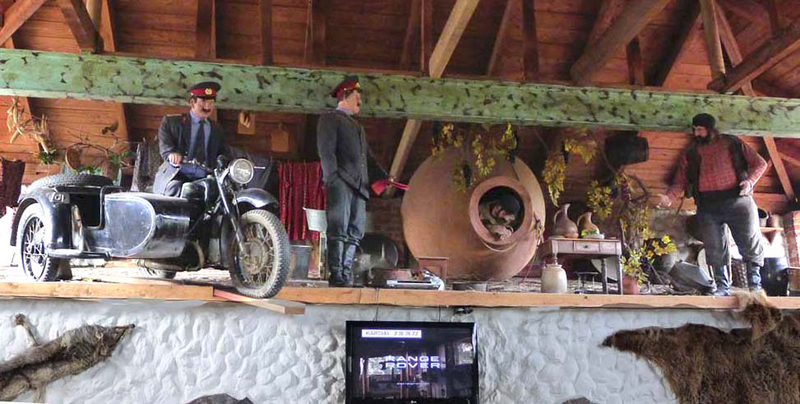 The Taglaura thought diners would enjoy a rustic themed diorama starring Stalin look-alike dummies! A more formal banquet was served by HOTEL KOPALA, 8/10 Chekhov St., Tbilisi 0103, 995-32-2775520. 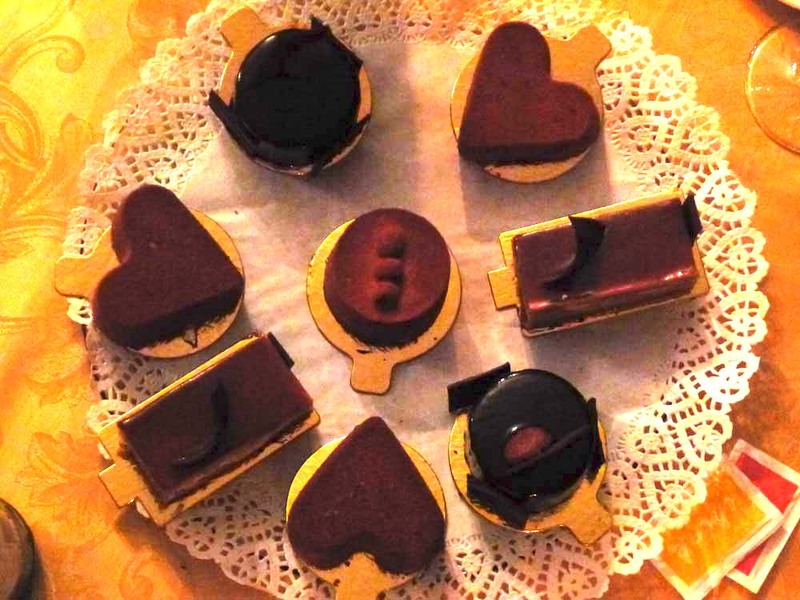 The meal concluded with French style pastries and Turkish coffee. 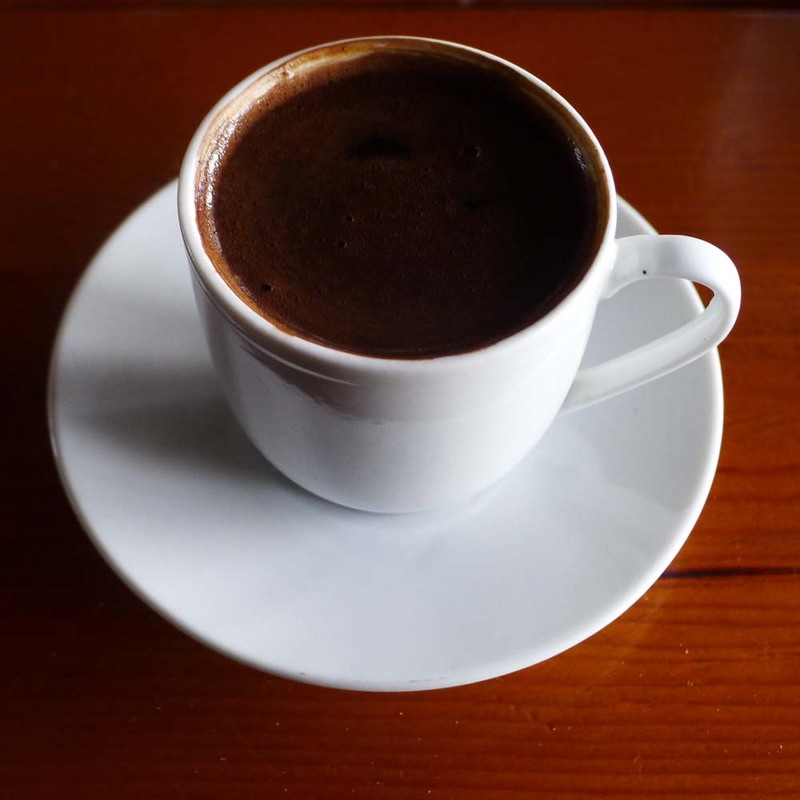 Turkish coffee owes a great debt to the Arab invasion of 645 AD, without which you’d never be able to stagger home. Our last and most memorable banquet was held two hours drive from Tbilisi up in the mountainous old town of Signagi. Restaurant “GALAVANI” (city wall) is perched over the Alizee Valley with a view towards the Caucasus Mountains. 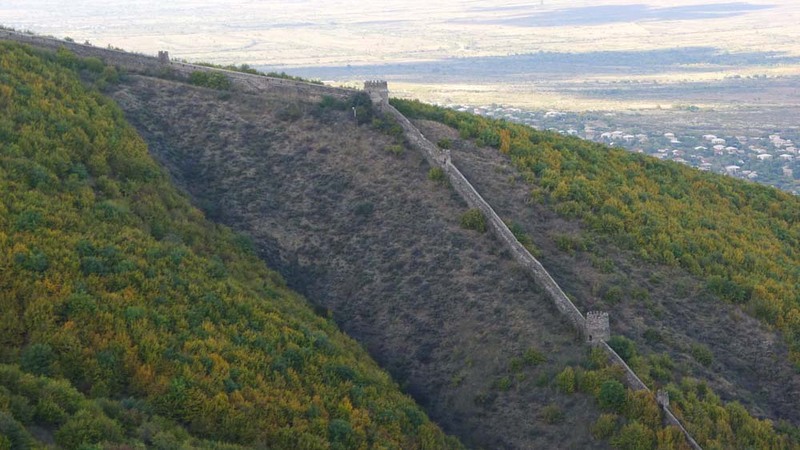 The Great Wall of Georgia (18th century) surrounds Signagi. It was built to hold back Persian invaders, but let in some of their cooking style. You can walk sections of the Great Wall from the fortified watch towers. 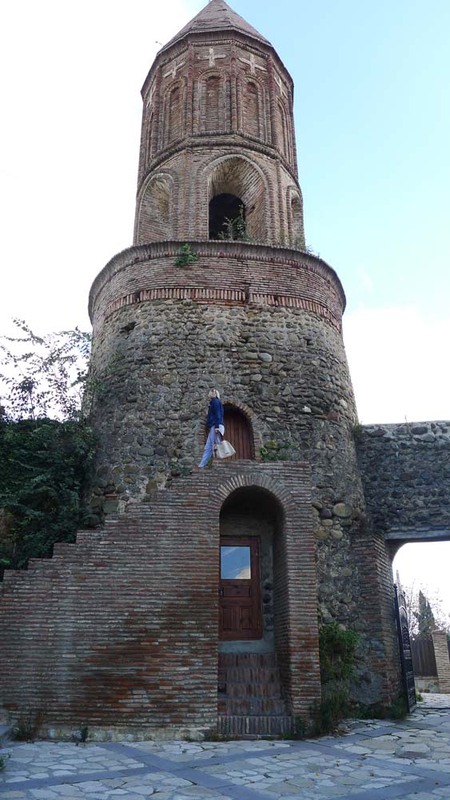 This tower adjoined our restaurant. After a few shots of chacha, a traditional Georgian band sang of love lost high in the clouds of Signagi. In between meals we managed to visit several Georgian Orthodox Churches. 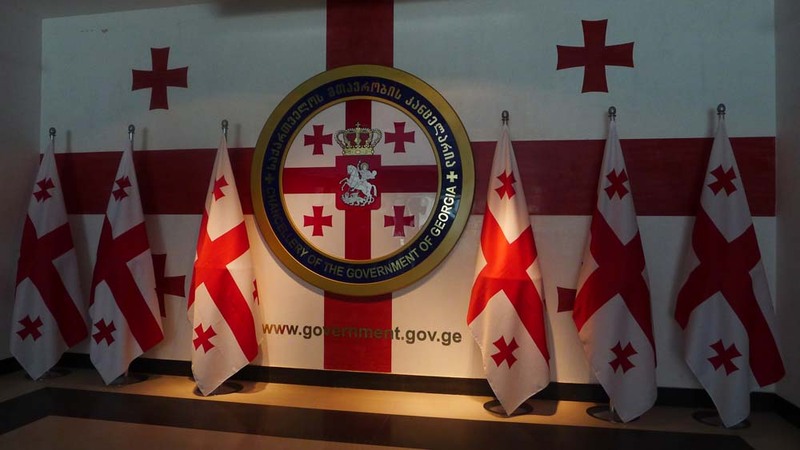 Georgian Christians claim St. Andrew as their founder (first half of the 4th century). 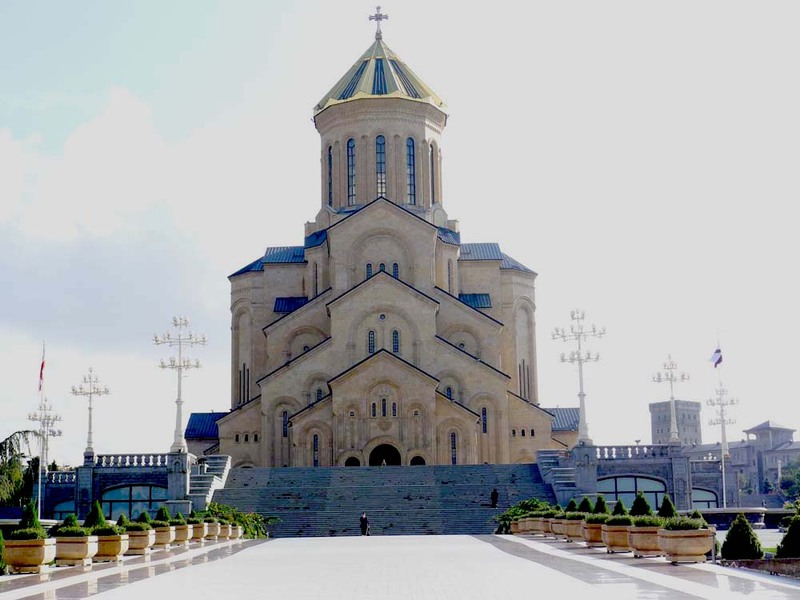 Sameba Cathedral (built in 2005) is the largest church in the country. Every inch of it is marble, including the five stairs I tumbled down in an attempt to take the perfect photo. 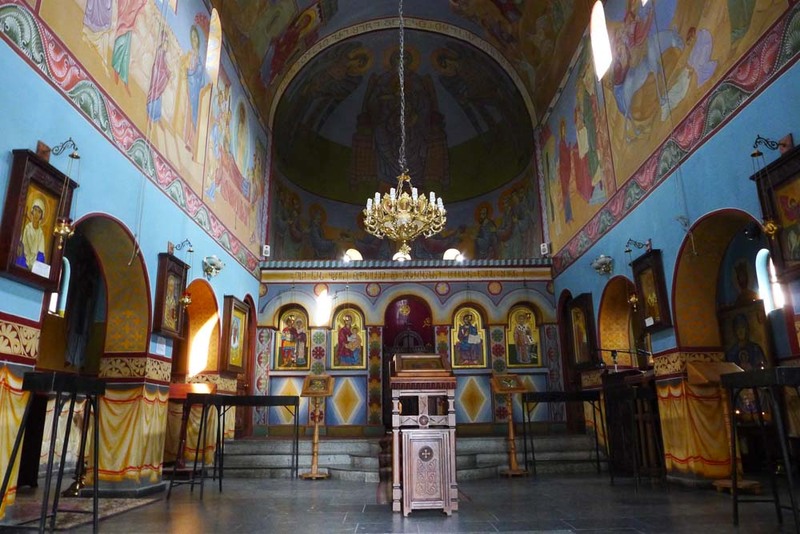 Georgian church interiors range from austere to elaborate. We loved this small church in central Tbilisi next door to the movie studios. Parts of Tbilisi are as glitzy as Vegas thanks to President Mikheil Saakashvili’s idea of modernization. 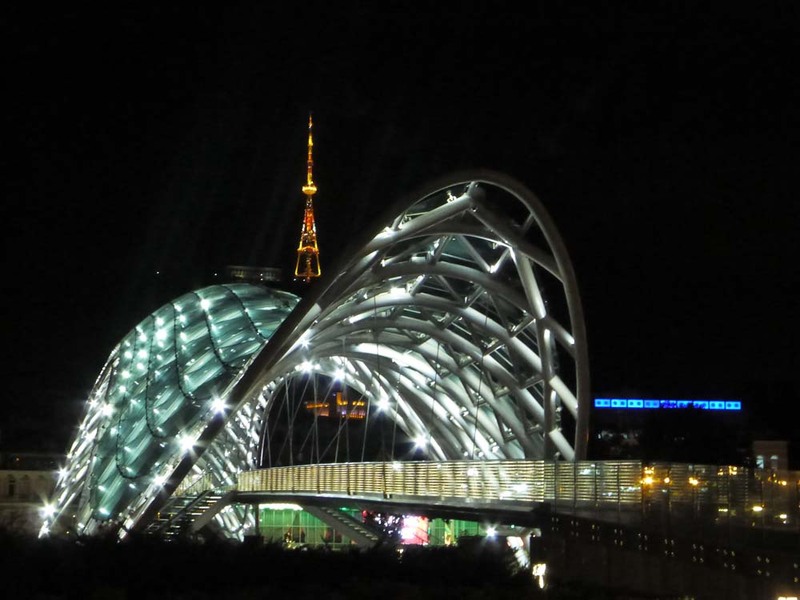 The new glass bridge in downtown Tbilisi. 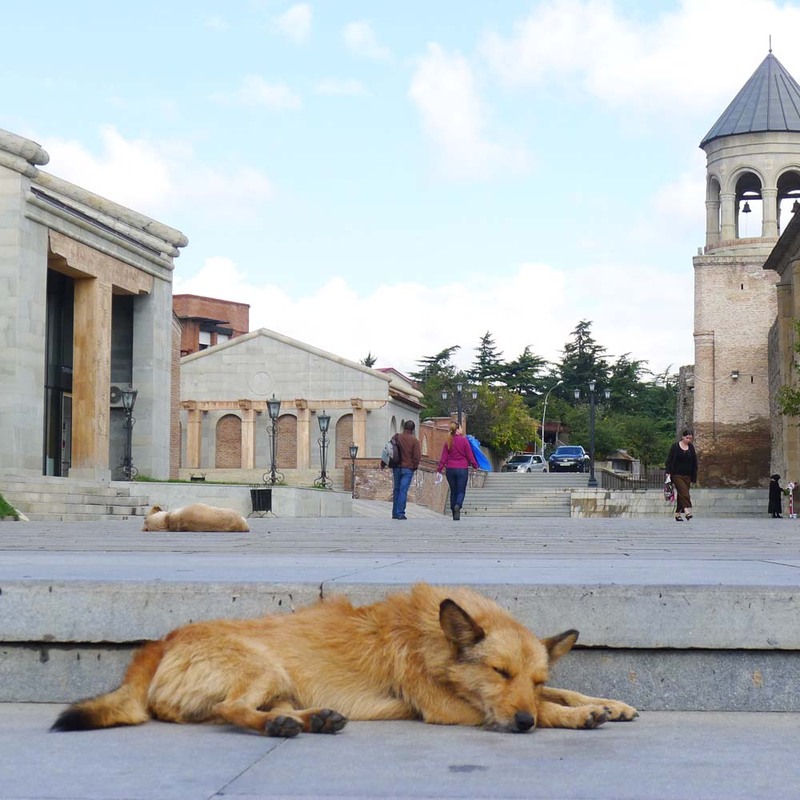 The pace is a little slower in the nearby former capital of Georgia, Mtskheta. 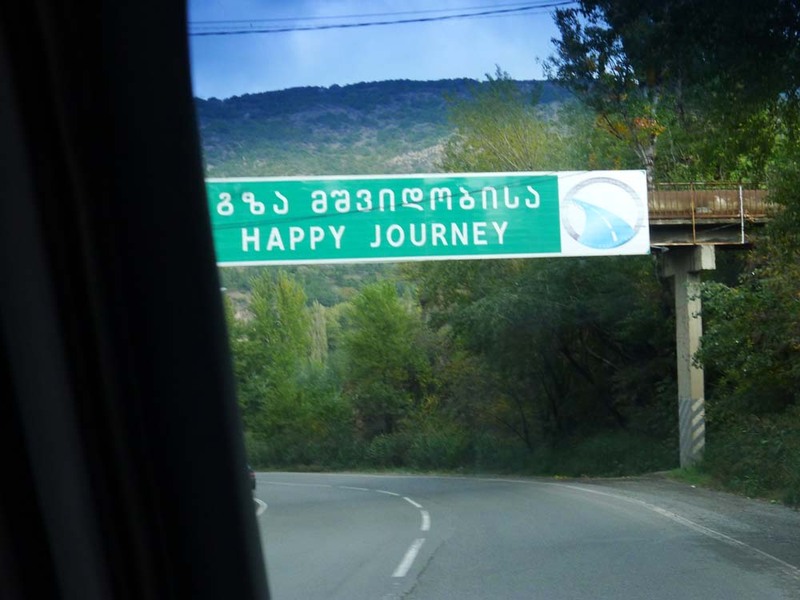 Thanks for the happy journey, Georgia!